As an entrepreneur, you're not afraid to bend the rules and think outside the box. You're not burdened with linear thinking, and thinking differently and trying new approaches enable you to solve problems. 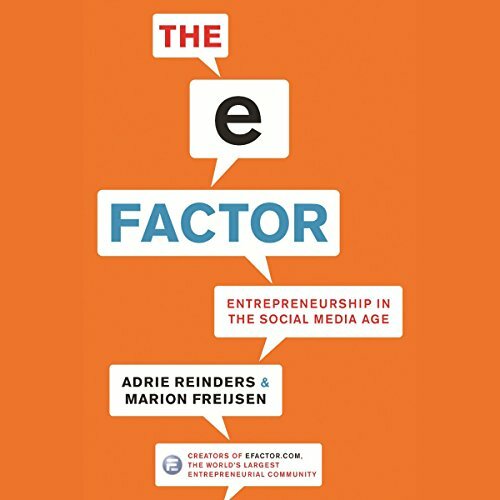 As serial entrepreneurs and cofounders of the largest social network for entrepreneurs in the world, EFactor.com, Adrie Reinders and Marion Freijsen know about the challenges facing new entrepreneurs in the current business environment. Their site - with a community of one million-plus and growing rapidly - is a virtual marketplace for entrepreneurs to make business connections, negotiate deals, exchange information, and advertise their products and services. In The E-Factor, Reinders and Freijsen educate entrepreneurs on the pitfalls that take down most entrepreneurs before they get started, such as restricted resources, skills gaps, and financial limitations, and show you how to overcome these obstacles. Discover how best to secure funding for your fledgling startup and how to use new forms of social media work to your advantage. Along the way, read a wide array of case studies of successes and learn lessons from others' failures, including those from small business owners and burgeoning entrepreneurs, all the way up to multinational corporations, global brand leaders, and the founders themselves. The E-Factor shows you how to gain leverage and evaluate and reassess goals, products, and company structure to meet needs in a competitive environment. Combine the best traditional entrepreneurial thinking with new tools, ideas, and channels now at your disposal.